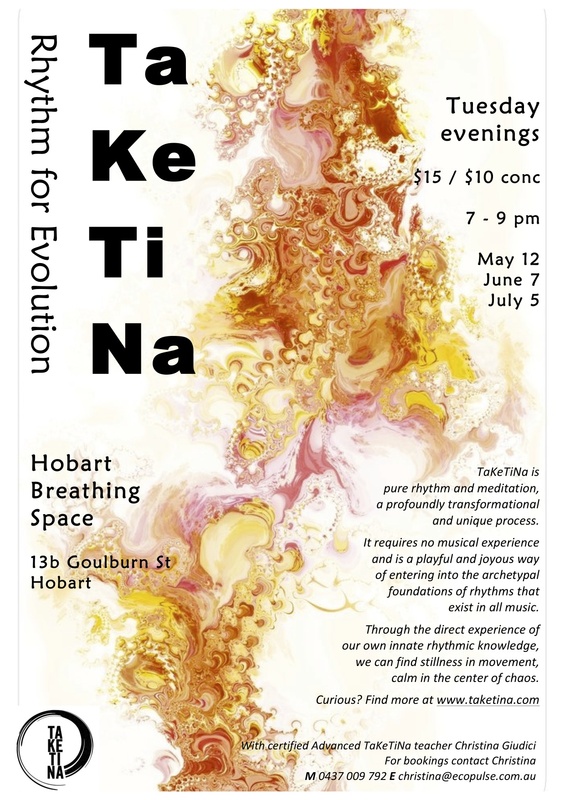 Christina offers regular TaKeTiNa workshops in and around Hobart, Tasmania, as well as Adelaide and Clare, South Australia. TaKeTiNa "Taster" sessions lasting 2 - 3 hours are regularly offered in Hobart, as well as more intensive workshops lasting 1 - 2 days. Christina is regularly invited to lead TaKeTiNa sessions with community groups and organisations, including at the Narya Niara Good Spirit Festival on Bruny Island. Free trial for anyone new!